Collaborating with other designers and creative people is probably my favorite thing on the planet. It’s why I love what I do with The Firefly Hook. 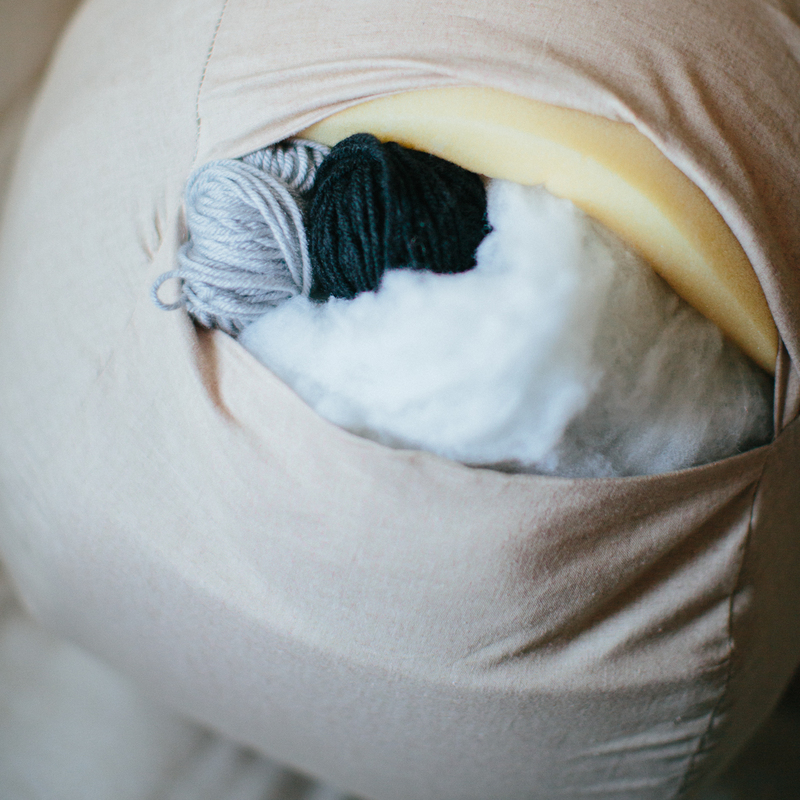 Monika and Abigail inspire me every day (my photographer and editor)… and they don’t even crochet! 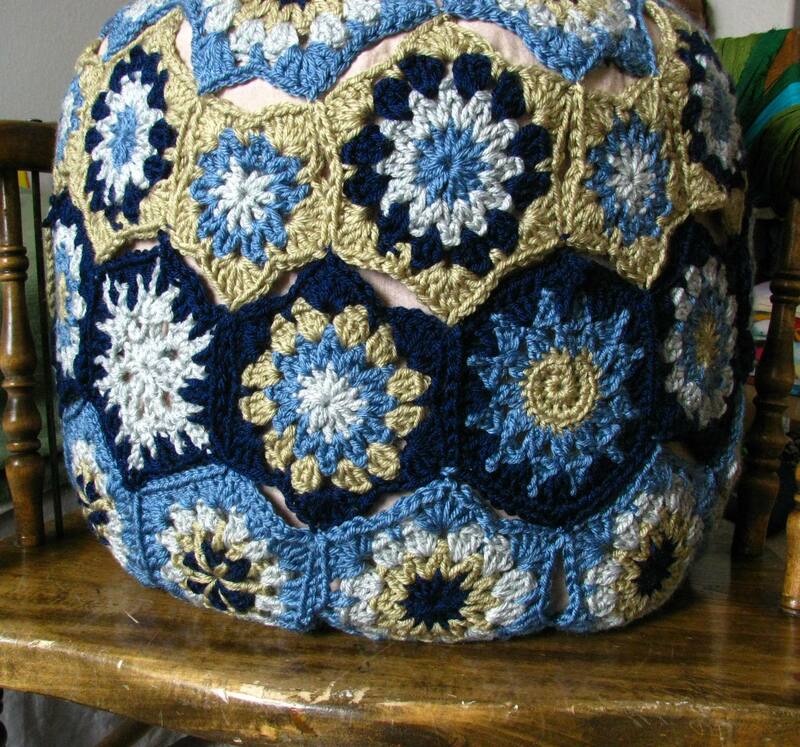 So this Hexagon Crochet Along brought me some serious joy. These seven designers are so creative, fun, and encouraging! I hope you check out what they made with their hexagons. You will be inspired. Find our hexagon and pentagon patterns here. My mom was visiting from MN at just the right time. She is the sewing master. We followed this tutorial by Land of Nod. The inside contains: poly fiber fill, old balls of scrap yarn, and the foam from our old changing table pad (yes, that means all my little Swansons are toilet-trained!). I hate needles! 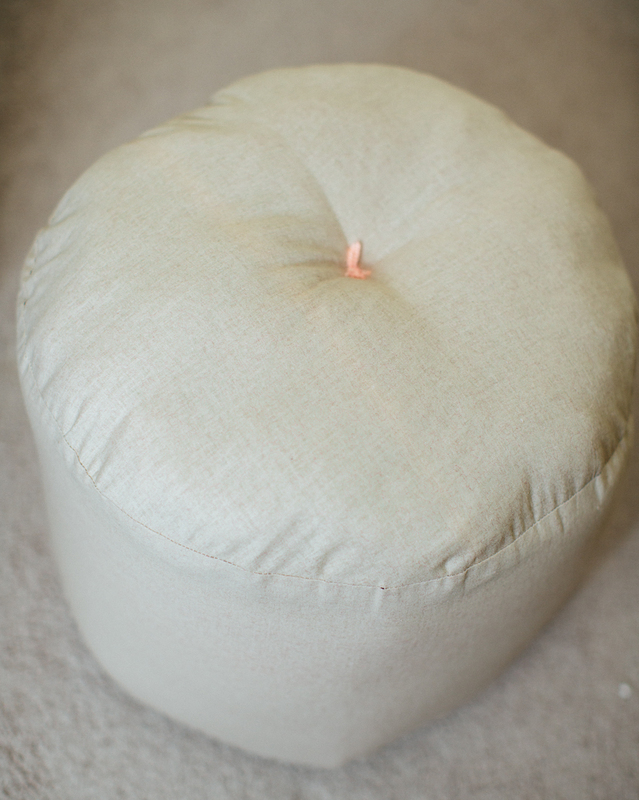 I’m so thankful my Mom could make the entire pouf and especially make the cute little dip at the top. 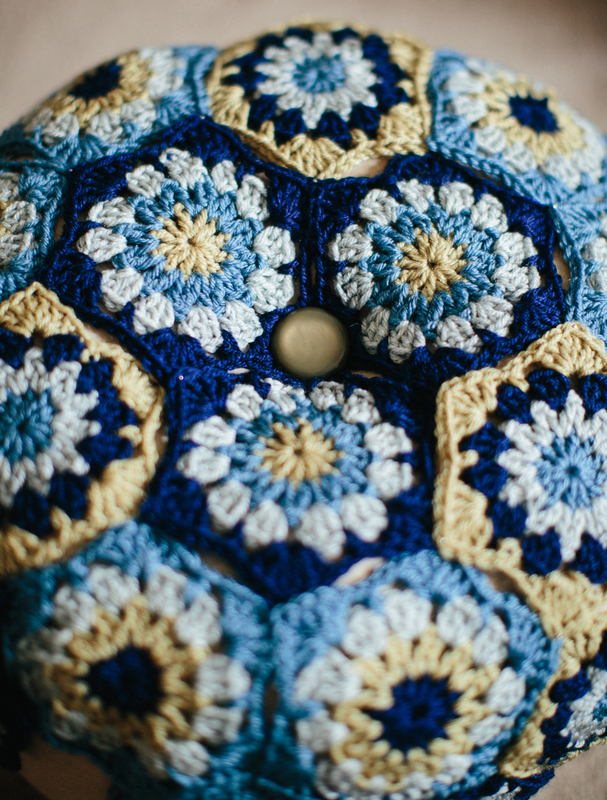 Hexagon assembly: I started with three of the same color scheme at the center and sewed them around the button. I switched up the color order from the original photo, so next I used the light blue edging and attached each hexagon at just the corners. For the next row, I attached hexagons and pentagons with the gold edging. 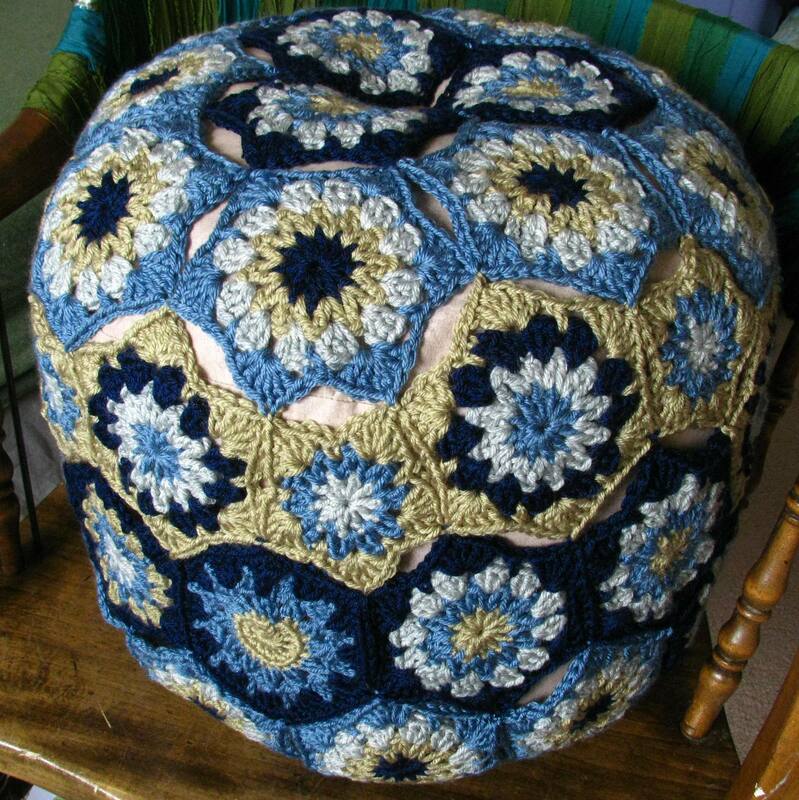 Depending on the size of your pouf you may need to add pentagons on a different round. You will need them when your pouf turns down. Next round was the dark blue hexagons again. 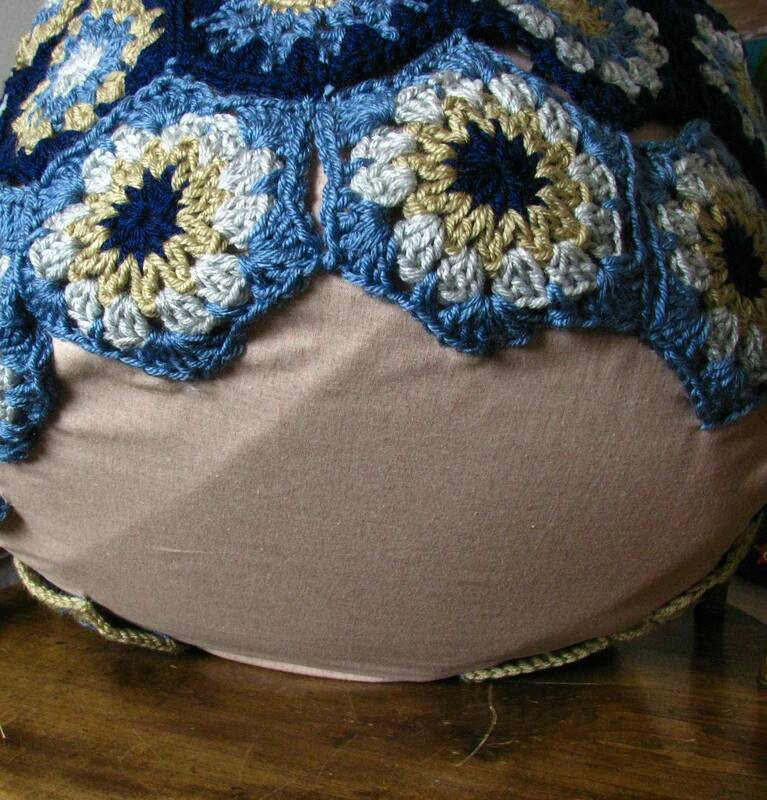 Because of the size of my pouf, I needed to add one pentagon on this round as well (not pictured). You just have to see how they fit as you sew them on. 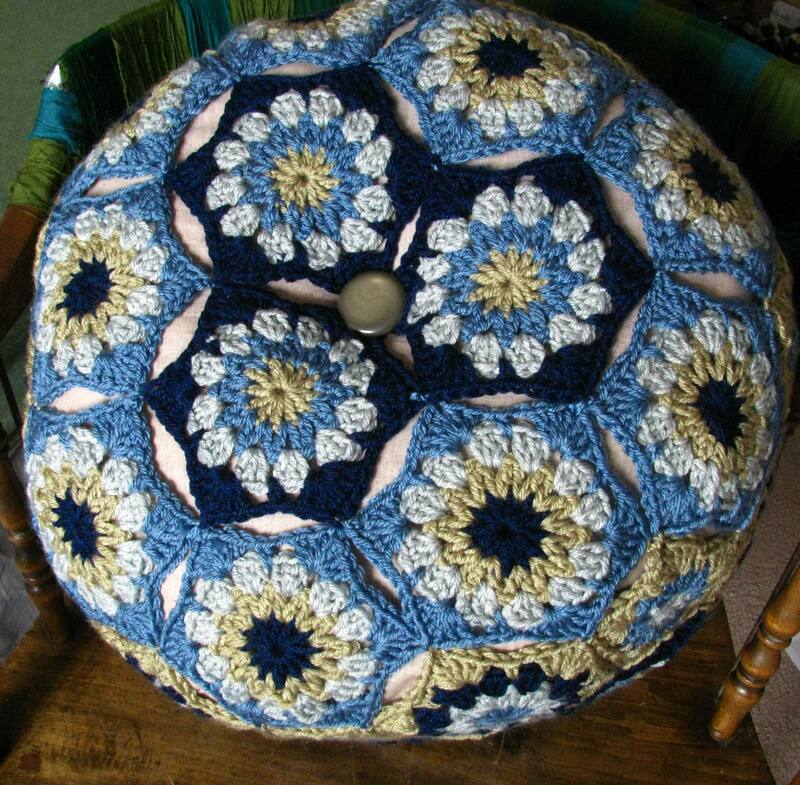 To finish, you can decide if you want to cover the bottom with hexagons. I debated but finally opted to leave it bare because I figured the hexagons would get all fuzzy over time. So I simply sewed the final row of hexagons into place. 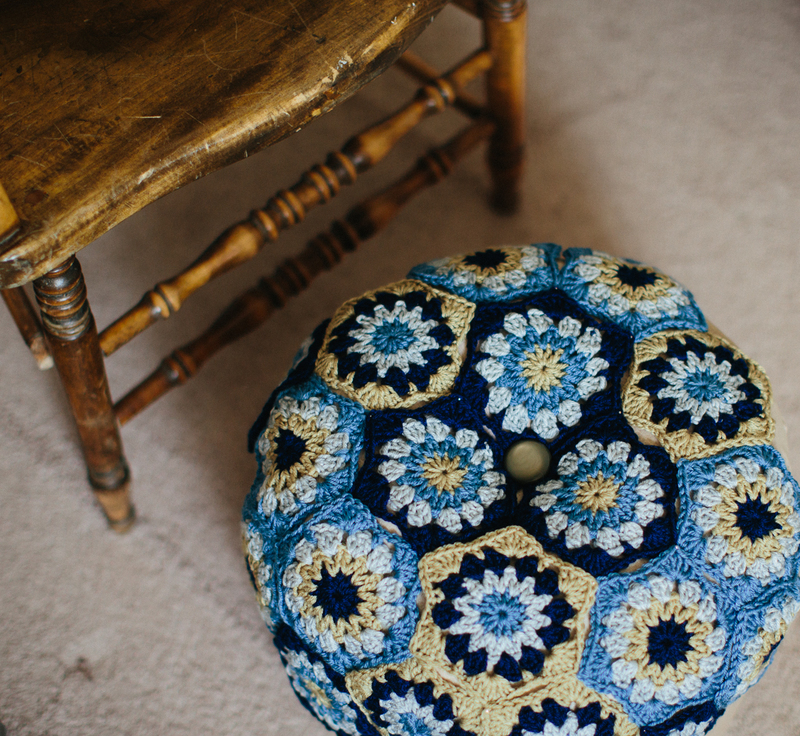 This is the only place I sewed the hexagons onto the actual fabric of the pouf. Here are all the final projects. Enjoy! Our latest eBook release: The Wyoming Collection Favorite or queue the patterns from the collection here on Ravelry.